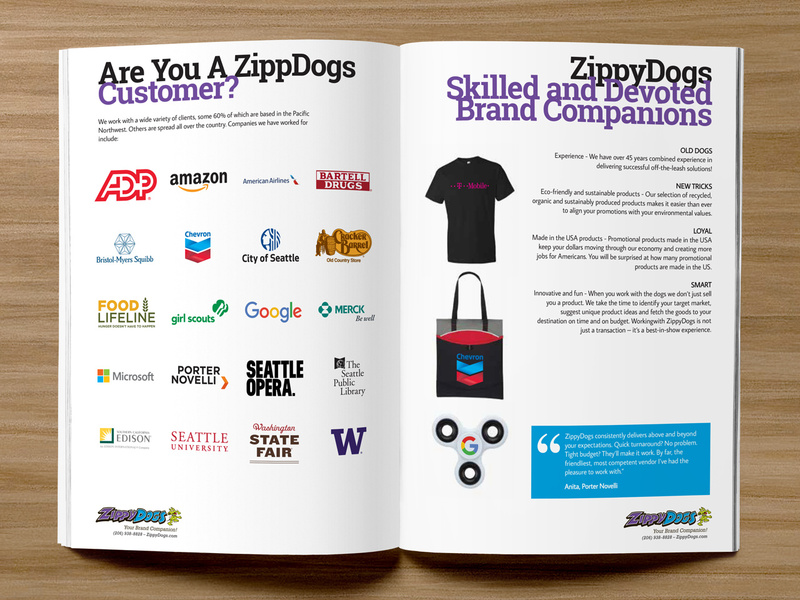 ZippyDogs, a local Seattle small business, fetches innovative promotional products that work. Their experience, technical expertise and deep industry knowledge help then sniffout items that achieve their customer’s goals. When it’s your business to make other people’s promotional items look good, then it makes sense that your promo looks good as well. 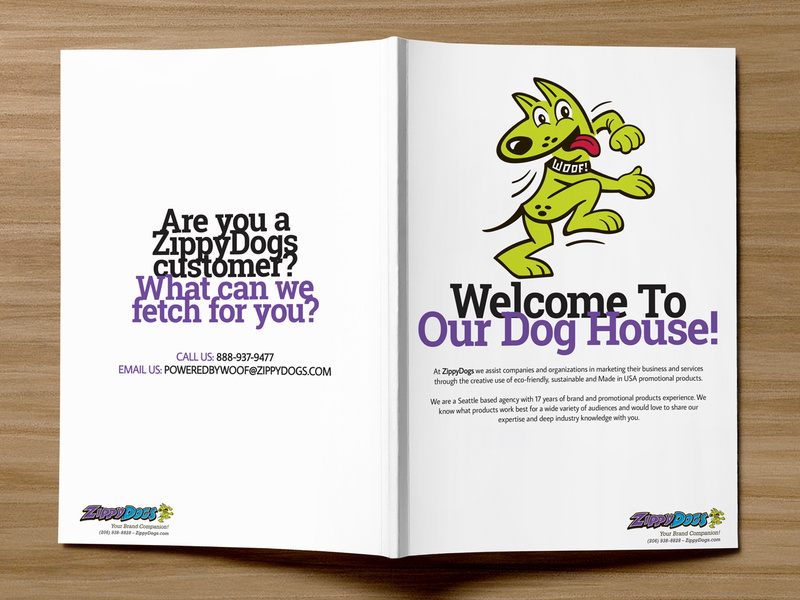 We were thrilled to help ZippyDogs build a stylish and informative proposal booklet to help them land that next big contract! 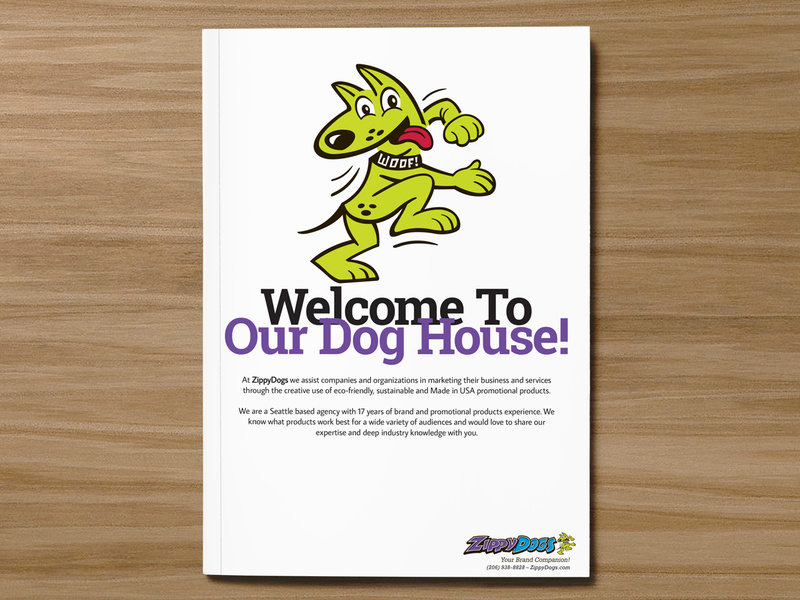 Not only did we furnish the design and layout for the booklet, both in printable and electronic formats, we made it editable so they could make their own changes to it in the future.